Pumpkins are Halloween’s rock star vegetable, so you might be surprised to learn that smaller root vegetables such as the humble turnip have been carved into jack-o-lanterns for much longer. The Irish apparently used to carve spooky beets as well (seriously, click on the hyperlink – they are the devil’s work). The reason for looking into this came about through my partner Jill, who hails from a little town in northern England where she didn’t see her first pumpkin until she was a bit old to go trick-or-treating. 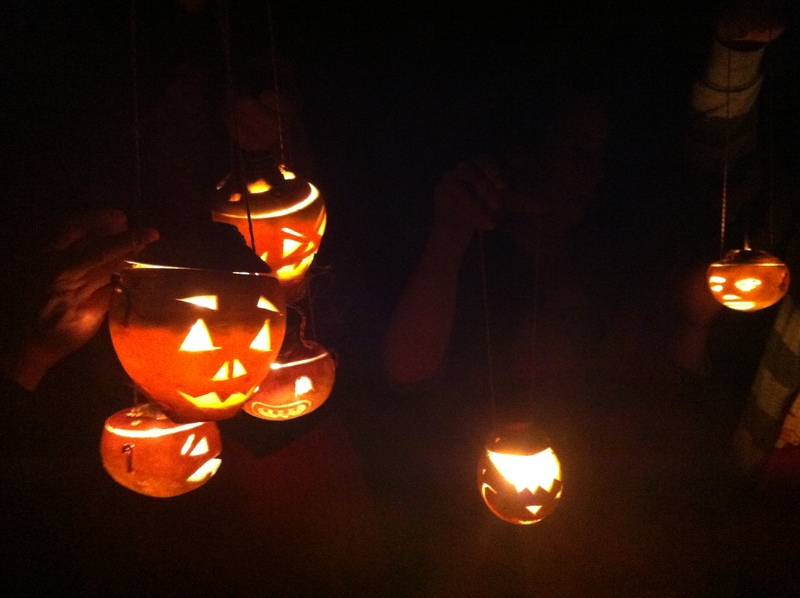 In northern England, Halloween was a time when children would carve sad-looking little turnip-o-lanterns and burn their forearms on the candle flame as they went door-to-door in search of treats. While our friends were quick to start making jokes about the tradition, Halloween seemed like an opportunity to dig in to a bit of ancient culture while making some questionable puns about root vegetables. 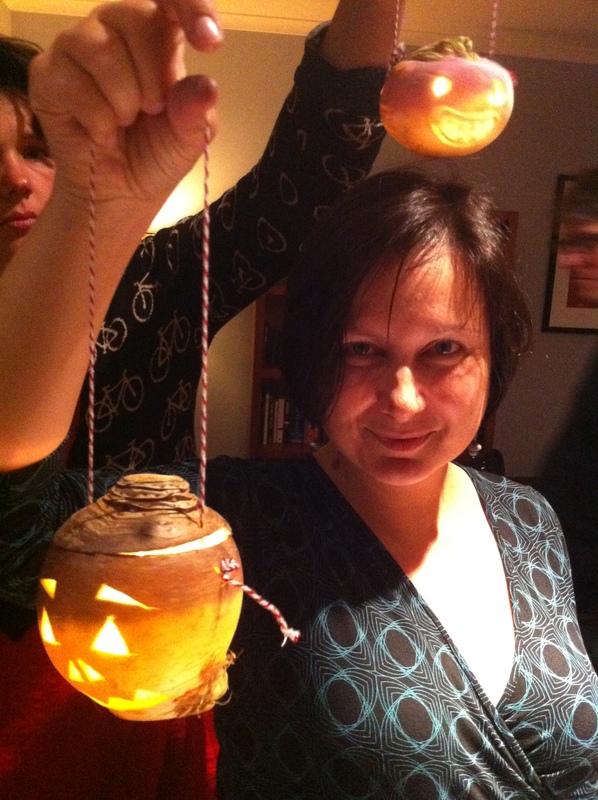 I invited some people around for an old-fashioned lantern carving, and in the end it was a real turnip for the books. Sorry. Actually I’m not really sorry – that was a solid pun. On the evening of the event I visited three turnip-less supermarkets before my stress levels started to rise. We weren’t at the beet-o-lantern stage just yet, but I was starting to worry. At Woolworths (supermarket #4) I started panic-buying some runty ones and some swedes just so we had something to carve. Fortunately the next stop delivered the goods, but as it turned out the swede purchase was crucial. 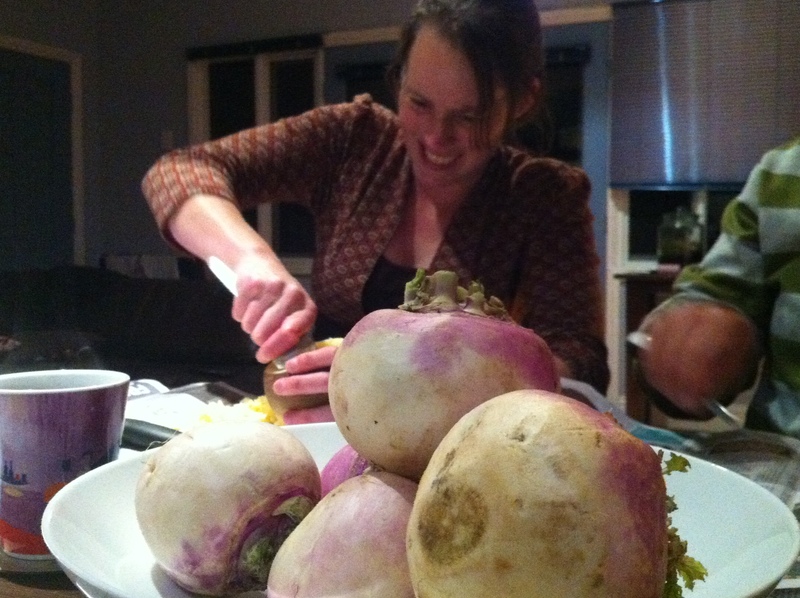 What the northern English call turnips are what most other people call swedes. And their swedes are our turnips, if you catch my drift – and you certainly would catch my drift if I had eaten too many of either of them. Anyway, we got stuck in. No-one got burned, and I think as you can see from our swede little lantern gallery, they weren’t nearly as ridiculous as we were expecting. But we were already doing it. 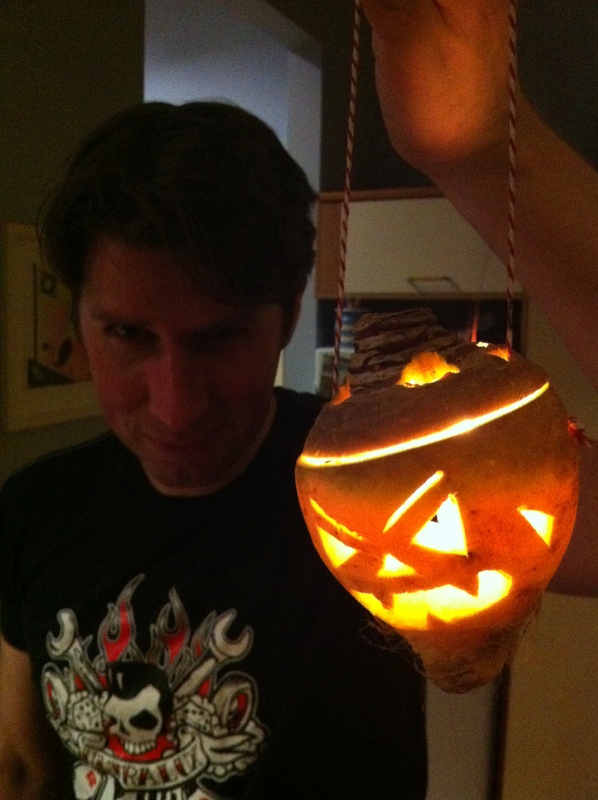 Anyway, the Aussie turnip-o-lantern revival begins here – or not.